It never seeks to amaze me how many people love pie and love the concept of www.pierate.co.uk – that we simply rate the pies we find to find the ones you should eat! Thank you so much for your Pie love! And having just reached a landmark 100,000 pageviews in the early hours of Saturday 15th February 2014 – doubling from 50,000 pageviews in just 4 months! – we are delighted to be appealing to pie lovers the world over. With well over 300 pies rated, we’re beginning to feel like pie-fessionals now! And the great news is we’re just getting going, with loads of pie-deas planned for celebrating British Pie Week from 3rd to 9th March 2014! So why don’t you check out our #PiePledge article and make it a promise of yours to eat pie for British Pie Week and let us know how it rates. To encourage this, we’ll be creating a “Pies eaten in British Pie Week” thread for you to leave your comments and scores out of 7! Or check back on to www.pierate.co.uk to see how we’re getting on with our #PiePledges! We have a number of pie companies lined up to give us pies that will no doubt take us past our target of 51 pies or more in British Pie Week (beating the 50 pies we ate last year) and are sure you will all be enjoying plenty of pies too! One of the pie-lights of the last four months has been sponsoring our first event - the @Woodies12 production of "Captain Hook's Revenge" (which we also had the pleasure of attending!) We also set sail with our Pie Treasure Map - a map of the world showing where the nearest pie we've rated is to you! And we're also delighted to confirm that we have a new most viewed page on our website! The "Best Pie in London" article has been near the top of Google searches for a while now and is our number one - displacing our article on how McDonald's Apple Pies are not really pies at all! 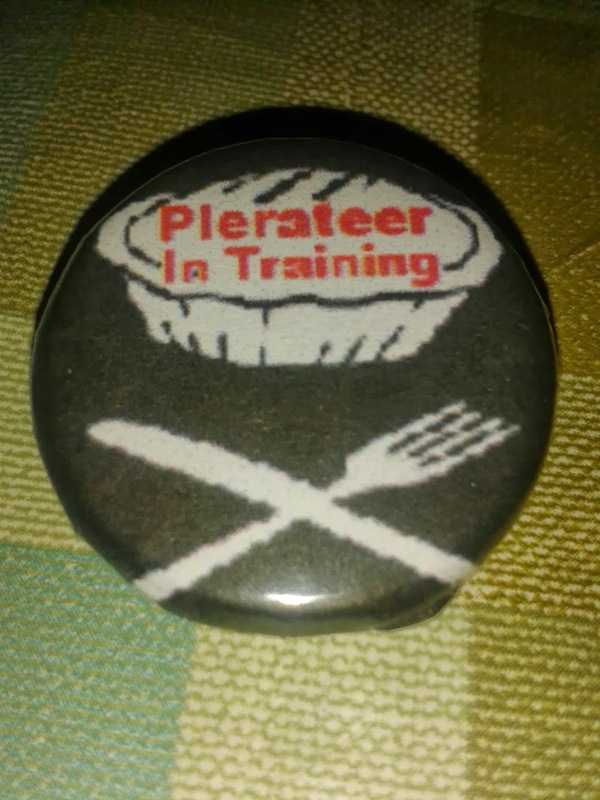 And in all this ex-pie-tment I can’t forget to mention that we have two new Honorary Pierateers to celebrate reaching this landmark of 100,000 pageviews! Ashleigh Auld and Olivia Rust have been keen supporters of www.pierate.co.uk over the last few months that we’ve hit the big time – including our first interview (on International Pierate Day) and meeting up for our first “Pierateers in Training” session – where we shared top tips on how to rate pies using the 7 Cs! They will be presented with their Pierate prizes and certificate in due course.